Portugal is yet to miss a major tournament since 2000 and with the forthcoming 2014 FIFA World Cup being held in Brazil, there seems to be some sort of a special calling for the Portuguese National Team. However and in order to be in Brazil by next summer, Portugal will need to be at their best this Tuesday, when they face Sweden for the 2nd leg of the FIFA World Cup playoffs. Portugal and Sweden will clash again this Tueday, this time in a game being held in Swedish soil. Paulo Bento's men won round 1 in Lisbon last Friday, in much part thanks to a decisive contribution from Real Madrid's ace Cristiano Ronaldo. Everyone in the Swedish side knew that the Portuguese main threat would most likely come from the 28-year forward and as expected, all CR7 has needed to leave his mark was one chance. His header on the 82nd minute delivered a precious 1-0 win and a narrow advantage for the upcoming 2nd leg. Now it will all come down to defend well and stay united on the pitch. 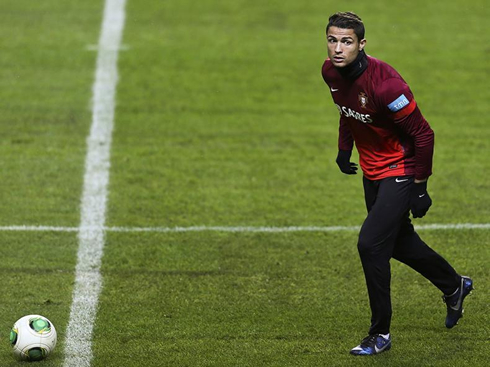 Sweden vs Portugal kicks off at 19:45 (GMT+0) in Portugal and 20:45 (GMT+1) in Sweden. If Portugal can indeed be proud of holding a perfect record in terms of being present in all major tournaments since 2000, Sweden in the other hand, has only a single but recent stain in their record. Zlatan Ibrahimovic and his most experienced teammates already know how it feels to sit out from a big tournament like the FIFA World Cup, since Sweden has already missed the qualification for the last 2010 FIFA WC in South Africa. 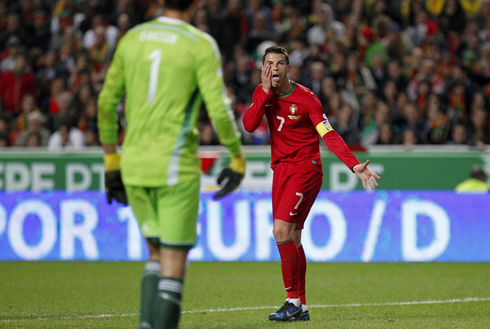 Portugal has a tradition of struggling until the very last moment before assuring the much-wanted ticket and if they are to make it to Brazil in 2014, it won't be any different this time. From a Portuguese perspective, what the first leg has showed us once more is that this team is hugely dependent on what Cristiano Ronaldo does on the pitch. Nani hasn't been anywhere near to being a regular choice this season for David Moyes' Manchester United and therefore, he's naturally far from being close to his best form. The alternatives could be interesting choices, with the likes of FC Porto's Silvestre Varela and Galatasaray's wonder boy Bruma, emerging as the closest to a direct replacement. Quality and technically wise though, they are both quite worse than Nani. 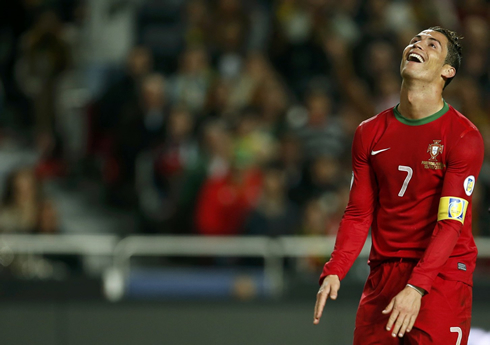 The centre forward spot continues being one of the Portuguese National Team biggest weaknesses. It has been like this for years and it doesn't seem to have a foreseeable end coming anytime soon. The first choice is currently Valencia's Hélder Postiga, while Hugo Almeida usually fills in for him during the second half of most games and Éder from Braga (6 caps) keeps waiting for more opportunities. It's true Postiga links up better with Ronaldo and Nani, but maybe picking Hugo Almeida as a starter for this 2nd leg wouldn't be that unreasonable, since the Besiktas forward would surely bring in a lot of physical presence to contest many long balls that are expected to drop near his areas of action. In midfield we're very likely to see the exact same 3 players stepping in to the "Friends Arena", with Miguel Veloso playing in front of the defense, João Moutinho trying to dictate the tempo and Raúl Meireles seeking the perfect balance between helping at the back and supporting the attacking initiatives. The 4-men defensive line should also be the same, with Real Madrid's Fábio Coentrão on the left, Pepe and Bruno Alves in the centre and João Pereira on the right. They will look forward to repeat last Friday's performance, where they've managed to control one of the most in-form strikers in Europe these days, PSG's main man: Zlatan Ibrahimovic. It might sound as a "cliché", but Portugal will desperately need to hold off Sweden from scoring any goal during the first 15 minutes of the game. The home side will go into this 2nd leg pressing high and seeking an early opening goal that may inspire them to a memorable game. Portugal needs to control their emotions in every aspect of the game, keep it tight as a team and then, as long as they manage not to concede, Ronaldo will surely find the openings and spaces he needs to break through counter-attacks and score at least one goal. There are now only 90 minutes (and any eventual additional extra-time and penalties decison) setting Portugal apart from Brazil. Should Portugal simply try to hang on to the 1-0 result brought from Lisbon or should they instead simply try to surprise the Swedish and charge forward right from the start? Cristiano Ronaldo next game will be for Portugal, against Sweden for the 2014 FIFA World Cup Playoffs, this Tuesday (November 19, 2013). You can watch Juventus live stream, Sweden vs Portugal live, South Africa vs Spain, England vs Germany and France vs Ukraine, all matches provided from our soccer live streams section.